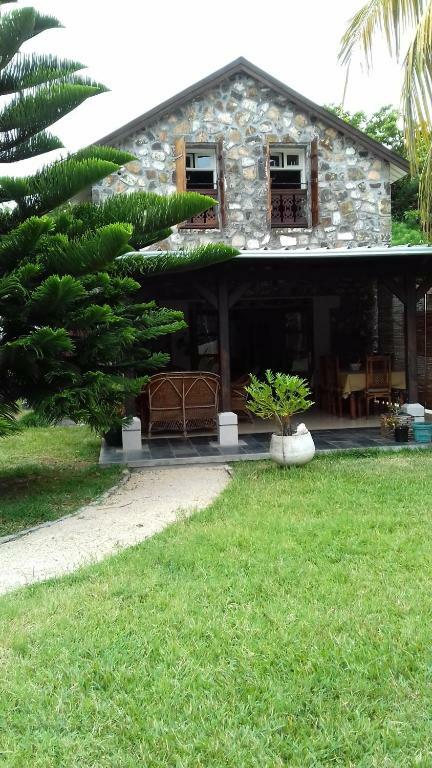 Villa La grange de G.
Beautiful house with luxurious fittings and appliances. 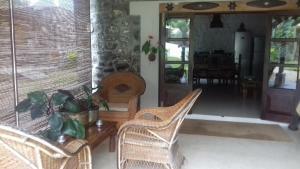 Great place to chill and the house cleaner was very helpful and caring; as was the owner, who lives on the property. The village was less touristy than others, more personal. 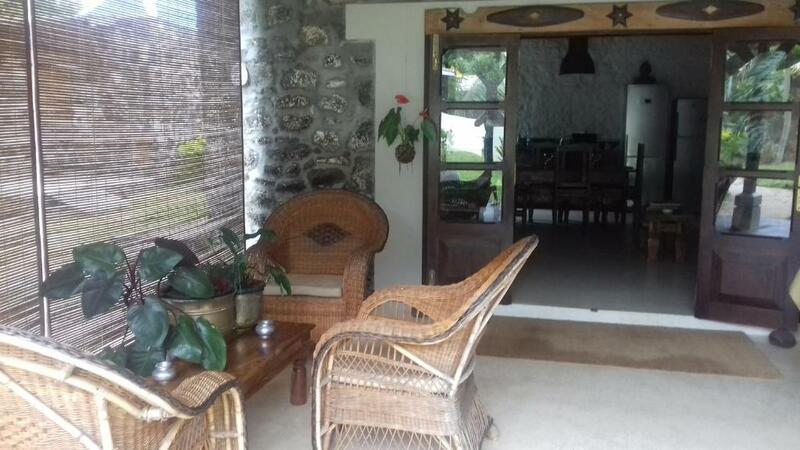 The beach was very close to the property and has very beautiful views to Coin do Mire. 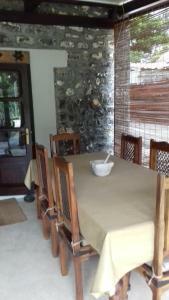 Well-equipped kitchen, location is quiet and very close to the beach, Géraldine and her staff were extremely welcoming. 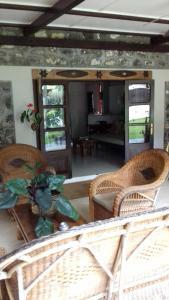 The house has been designed and equipped to meet any visitor's wants, the wooden interior as well as the furniture were just gorgeous. Beautiful house with tasteful and very well equipped interior, 1min walk from the beach, in a typical non-touristic village. 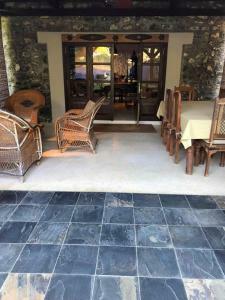 Outstanding price/performance ratio, with a housekeeper included who cooked for us every day. Geraldine is a lovely host, her brother runs a small kite school on the beach in front. Ideal starting point to explore the north and to learn to kite. We highly recommend. The host was warm. It was beautiful and clean. Everything was well thought through and there was nothing complain about. Taxi wurde von Vermieterin Geraldin organisiert. Da Air-France unser Gepäck nicht mit hatte, half sie sogar gleich mit KLeidung aus. Das Hausmädchen Chlorinda ist ein wahrer Schatz. Die Gegend ist sehr ruhig. Das Meer und der Strand um die Ecke. Chlorinda hat jeden Tag geputzt und für uns auch gekocht, nachdem wir gemeinsam eingekauft hatten. Bei Spätaufstehern hilft sie sogar beim Frühstückmachen. Bei allen Fragen und Anliegen ist Geraldine oder eines ihrer Familienmitglieder greifbar und hilfsbereit. Ein wunderbarer Urlaub!! Danke Geraldine!! Wunderschöne Unterkunft mit sehr gemütlichem Garten und einer traumhaften Veranda! Das Haus ist liebevoll eingerichtetet, sehr sauber. Auf jeden fall eine Empfehlung! Wunderschönes Haus mit sehr gepflegtem Garten, sehr nette Gastgeberin und eine top Haushälterin/Köchin! Wir waren 5 Nächte da und hätten es ohne Probleme noch eine Weile ausgehalten. Merci Geraldine :-) Zur Lage: Eigenes Auto ist von Vorteil (wir hatten eines). Lock in a great price for La grange de G. – rated 9.8 by recent guests! One of our top picks in Grande Gaube – and a guest favorite. The property includes a living room with a flat-screen TV. The villa also features a fully equipped kitchen with an oven, a microwave and a toaster, a dining area and a bathroom with a shower. The villa has a grill. If you would like to discover the area, snorkeling is possible nearby and La grange de G. Can arrange a car rental service. Grand-Baie is 9 miles from the accommodation. This property also has one of the top-rated locations in Grande Gaube! Guests are happier about it compared to other properties in the area. 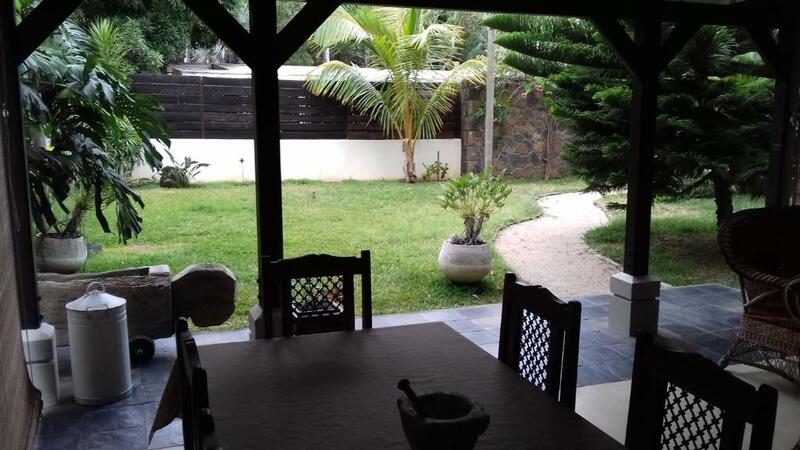 This property is also rated for the best value in Grande Gaube! Guests are getting more for their money when compared to other properties in this city. 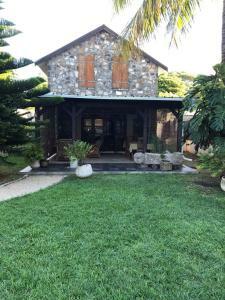 When would you like to stay at La grange de G.? This villa has a toaster, barbecue and kitchenware. The highlights of my residence: Quiet whilst being a minute walk from the beach. Fully equipped: including high speed internet, air conditioners and fans in the 2 bedrooms, flat screen TV with satellite channels, oven, microwave, coffee maker etc., quality bedding, spacious and ventilated terrace, manicured garden, service of an experienced housekeeper who does the cleaning, laundry, ironing and cooking every day excluding Sundays and bank holidays from 09.00 - 12.00, located in a residential area. 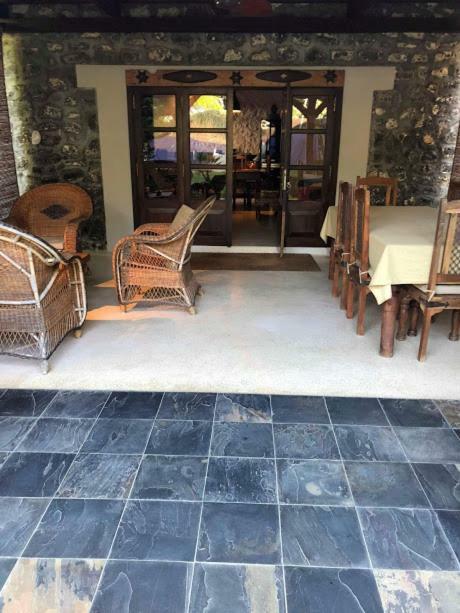 Accessible on foot: supermarket, pharmacy, restaurants, fisherman's landing, bus stop serving Grand Baie, Goodlands and Pamplemouses/Port Louis. At extra costs: possibility to organize boat excursions (fish or picnic on the islands, kitesurfing, snorkeling) excursions by taxi or mini bus, car and bicycle rental. My story begins 10 years ago when I bought a piece of land from my big cousins. A wasteland on which there were old stables dating from the French occupation. Grand Gaube and Pointe aux Canonniers were high places of defences during the French colony, thanks to the immensity of the lagoons protected from the reefs and the impregnable views on the northern islands. 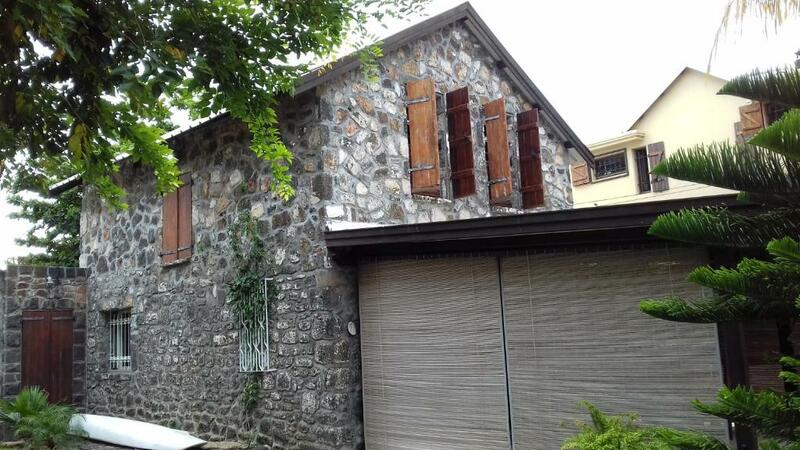 Quickly a dilemma was imposed... should I demolish this stone building that was not square with the land? I decided to keep it.. and not only. I wanted to bring a part of Mauritius' history using wood and old demolition stones from various places... Like beams from the first bank of Mauritius. It required 7 years of construction, a lot of patience and research. I hope you will feel at home here. Welcome to Grand Gaube, authentic fishing village in the north of the island. 100 years of stories connect my family to this village. It started when my great grandfather donated a plot of land to build St. Michael's Church. Later my grandfather who fell in love with this place decided to build a second home, a bungalow on the beach for school holidays. At the time, living in the city was a must. Soon his sisters would follow his example and Grand Gaube became the holiday and weekend headquarters for this large family. In the late 1970s, many family members settled there permanently. Don't be surprised to meet one of my uncles, aunts or cousins, or my mum on the beach during your stay? House Rules La grange de G. takes special requests – add in the next step! Please inform La grange de G. of your expected arrival time in advance. You can use the Special Requests box when booking, or contact the property directly using the contact details in your confirmation. 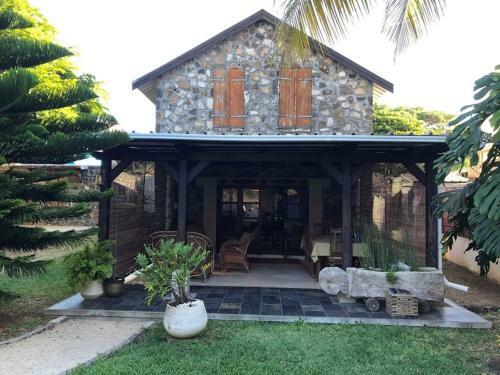 See all guest reviews for La grange de G.
Newest Reviews for La grange de G.
Having the owner living in close proximity could feel a little too close for some.